Get ready, something unprecedented is coming! 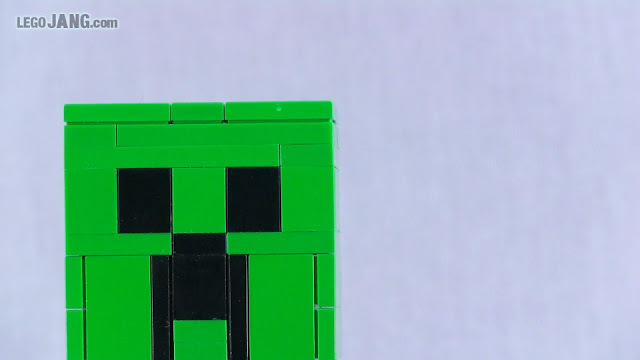 This week, subscriber and viewership growth on the legoJANG YouTube channel reached a level I never imagined possible. What I could do now is settle into a routine & take it easy for awhile and enjoy how great things are going. I could do that, but I won't. Instead, this coming week I am going to do something I don't think has ever been done in the LEGO community. I won't spill the details just yet, but this event is going to be serious, and it's going to give you, the viewers, an absolutely unheard-of degree of input and level of control over my work in the LEGO world! All else I'll say right now is, start thinking about what LEGO products you would really like to see me review, and keep a daily watch out for next week's announcement! I don't know which day it will be, but I will announce it here and on YouTube, and it's going to be BIG!! 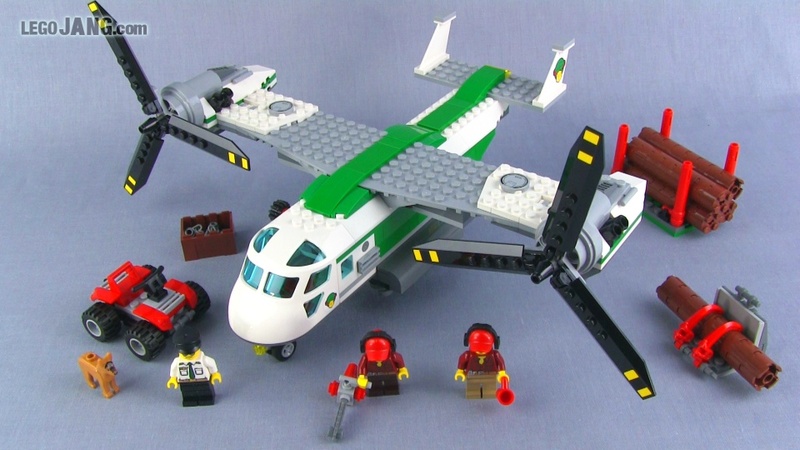 LEGO City Cargo Heliplane 60021 set review! After my surprise disappointment in the big Cargo Terminal plane set, it was nice to drop down to a much cheaper Cargo aircraft set with a far more rewarding build and good value. LEGO Galaxy Squad Galactic Titan 70709 in-hand REVIEW video! 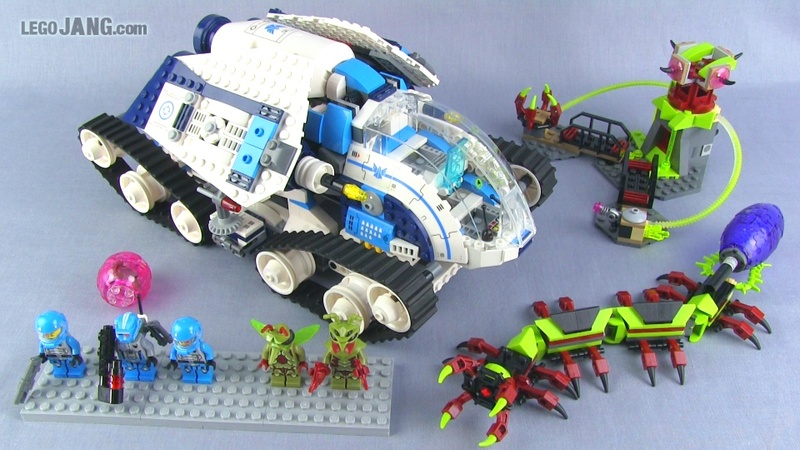 LEGO's Galaxy Squad Galactic Titan set has over 1,000 pieces and is the biggest of the sets in the series, period. This one is part of wave 2, for Summer 2013, and was one of the last Galaxy Squad sets to be released for the year! 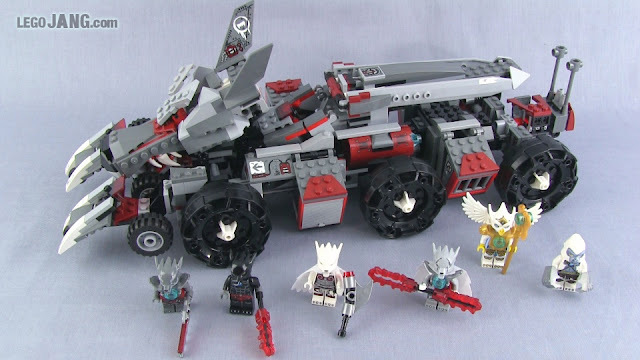 LEGO Galaxy Squad Galactic Titan 70709 in-hand REVIEW! LEGO Galaxy Squad Galactic TITAN 70709 speed build! Three new MOCs and a Bricklink haul today to add to my LEGO city! LEGO city update! 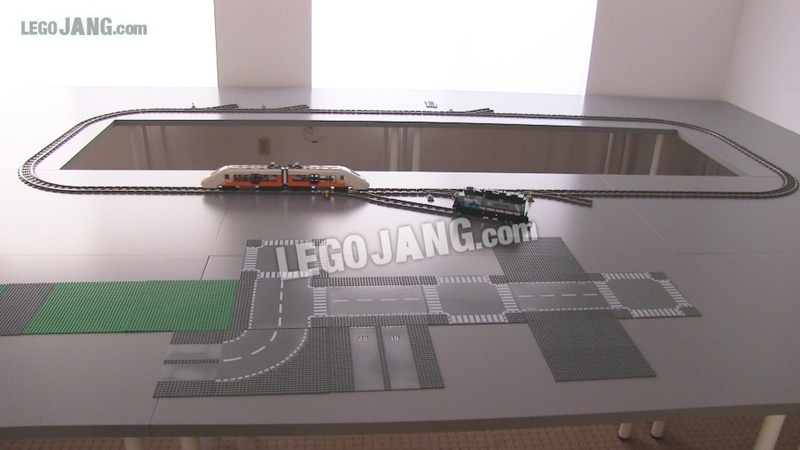 Big Bricklink haul brings train tracks into action! 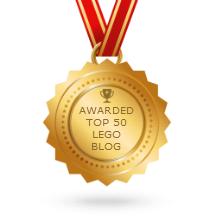 It's a big day for my LEGO city! 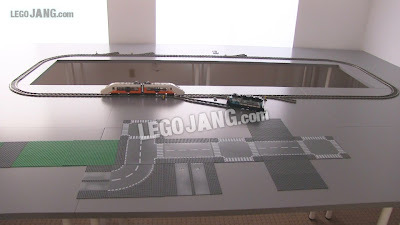 I got my first of two Bricklink orders in from Germany, with a huge load of train tracks that allowed me to get two full loops running! This is a realization of a goal I first unveiled back in March. You see, good things don't happen overnight! It takes time & patience! 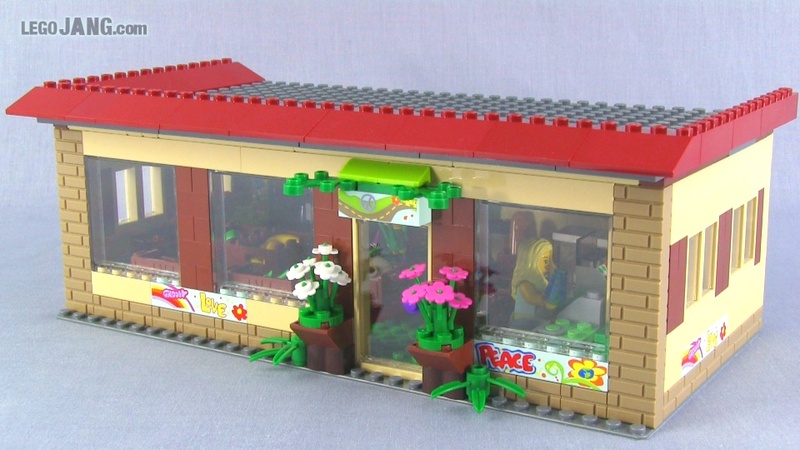 The next update about my LEGO city will be published when there's another update to publish! Also, the city will never be "done," it will just evolve! I'm writing this post mostly to acknowledge that I have seen this trailer :) I'm sure most of you have as well, as many of you have been telling me about it all day :) Looks appropriately funny, which I really appreciate. I hope it gets a full worldwide theatrical release! 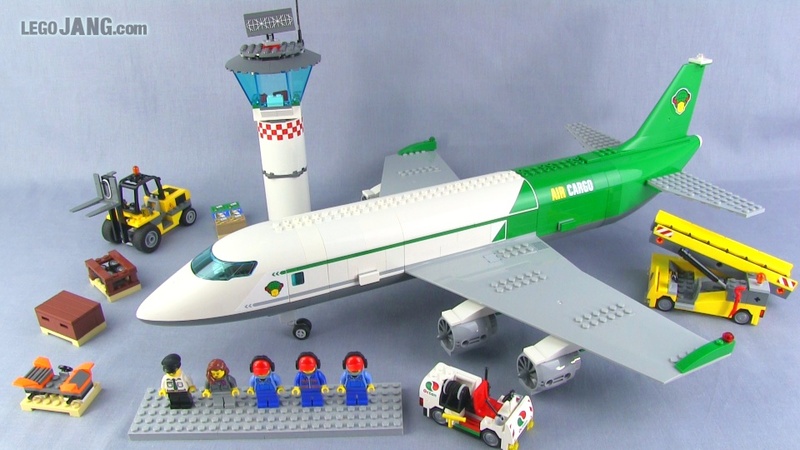 Never has LEGO been so legit! 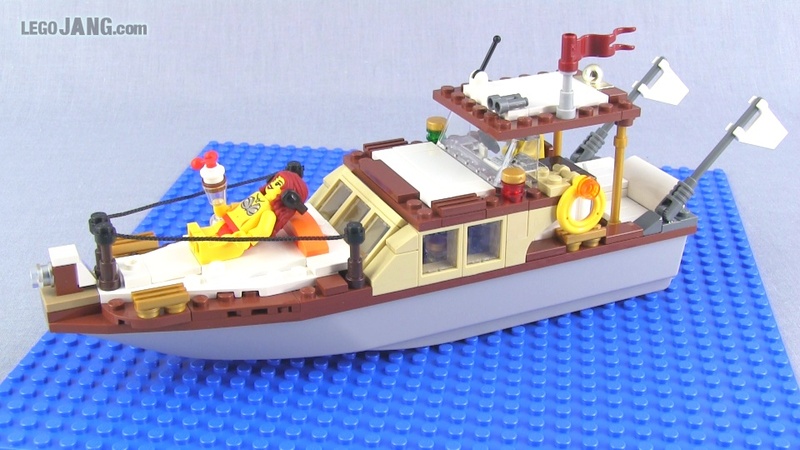 Where there's LEGO water there must be LEGO boats, and where there's a LEGO city there must be LEGO people! I'm on it! LEGO City Starter Set 60023 build & review! This is one set that includes everything shown above for $30 USD. 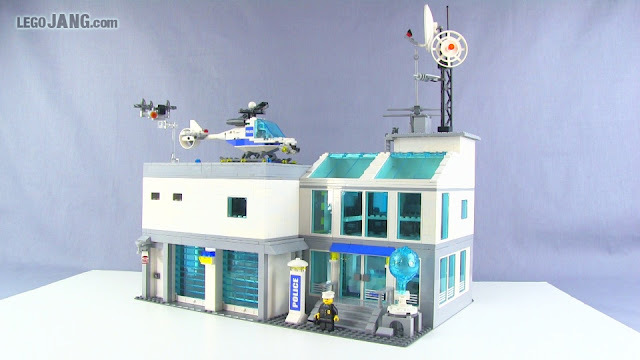 Video: LEGO City Starter Set 60023 build & review! LEGO Chima Worriz's Combat Lair 70009 build & set review! LEGO Chima Worriz's Combat Lair 70009 SPEED BUILD! 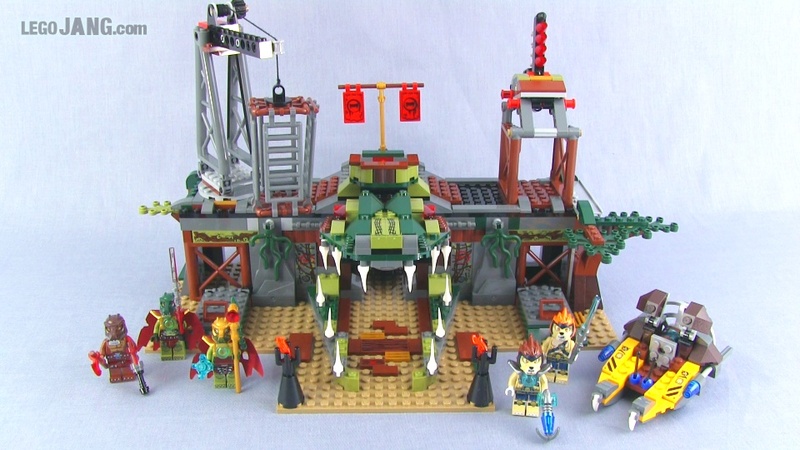 LEGO Chima Worriz's Combat Lair 70009 set review! Once again, nothing you see above should be considered final at all, but this is showing the general idea of the shape & rough arrangement of one corner of the layout. 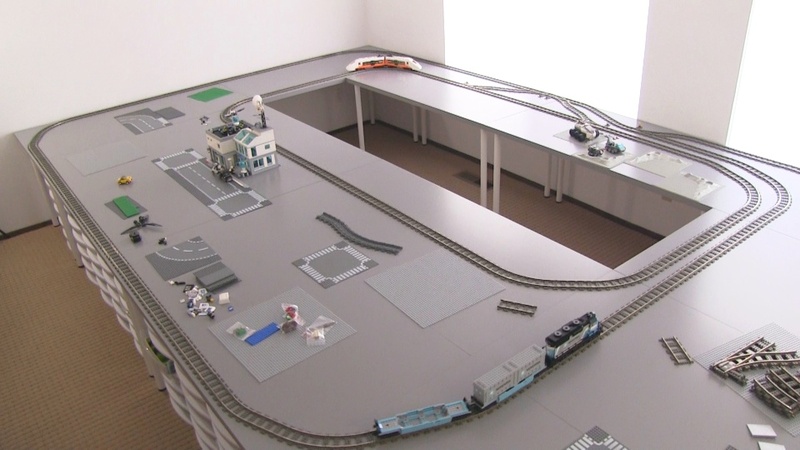 The train yard and port have been laid down exactly as they are in my digital mockup and they feel "right." Both are on a siding off the main line, so there's a little extra room for switching even when other trains are in continuous operation. Again, not final at all! This is called work in progress! 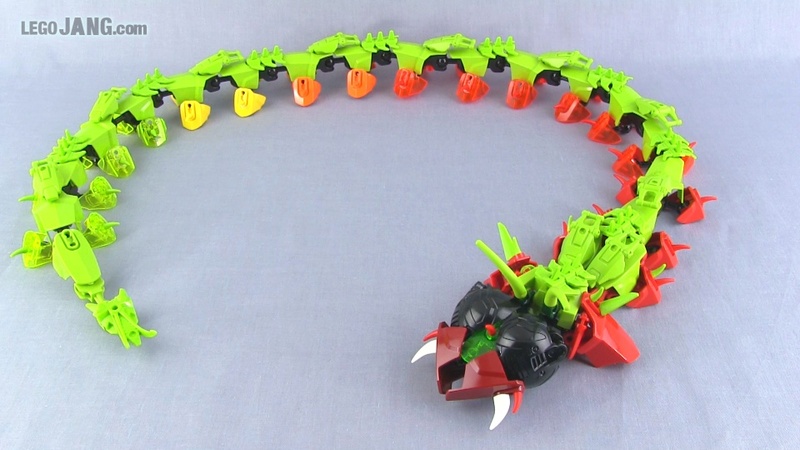 LEGO Chima Gorzan's Gorilla Striker 70008 build & set review! 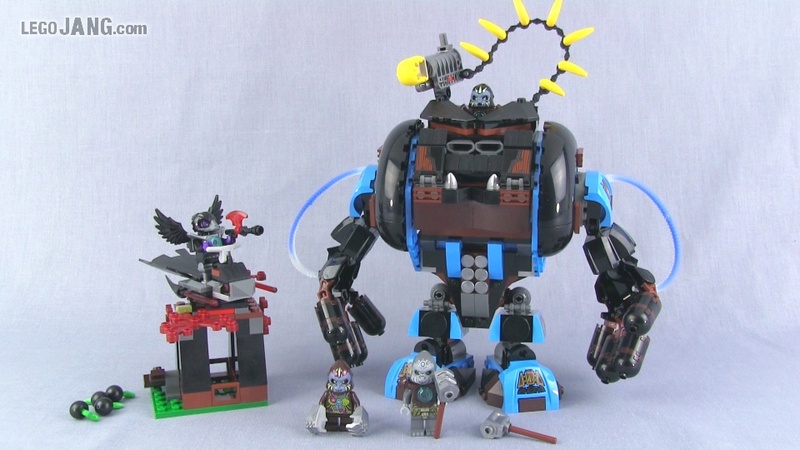 Following the trend in Legends of Chima sets, it only stands to reason that members of the gorilla tribe would drive a gigantic mechanical... gorilla. Video: LEGO Chima Gorzan's Gorilla Striker 70008 build & set review! 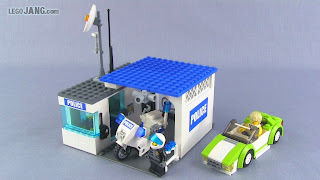 LEGO City Gran Prix Truck 60025 set build & review! As I am a fan of both racing and LEGO, this Formula 1 inspired set really tugged at my heart strings when it was first unveiled. 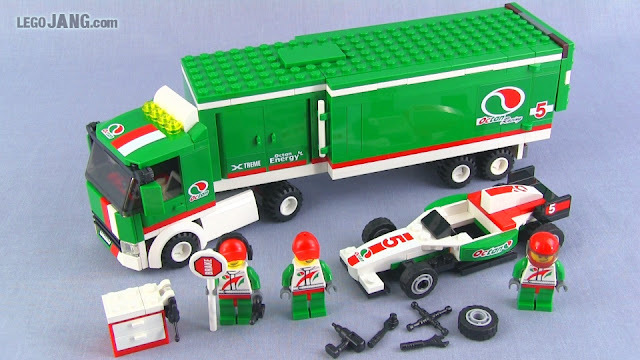 Video: LEGO City Gran Prix Truck 60025 set build & review! LEGO Chima Lion Chi Temple 70010 speed build & set review! This is it, the big one, big as they come for Legends of Chima, at least for now! 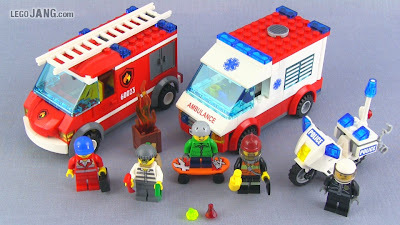 A $120 set with over 1,200 pieces, four vehicles, seven minifigs with accessories! LEGO Chima Lion Temple 70010 SPEED BUILD! 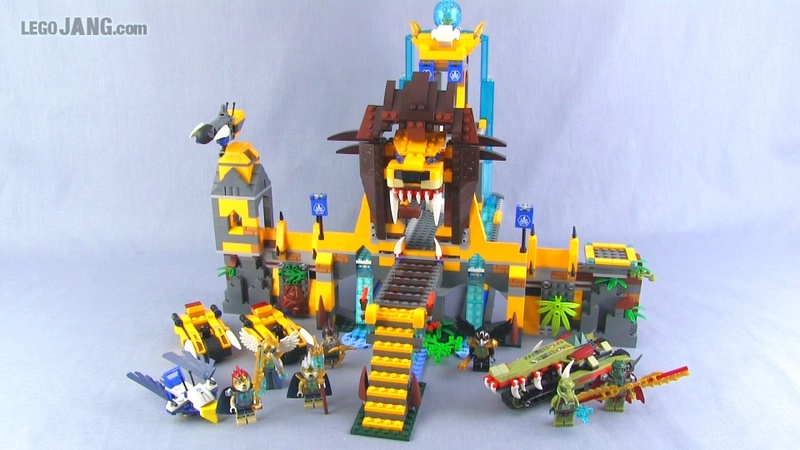 LEGO Chima Lion Chi Temple 70010 set review! 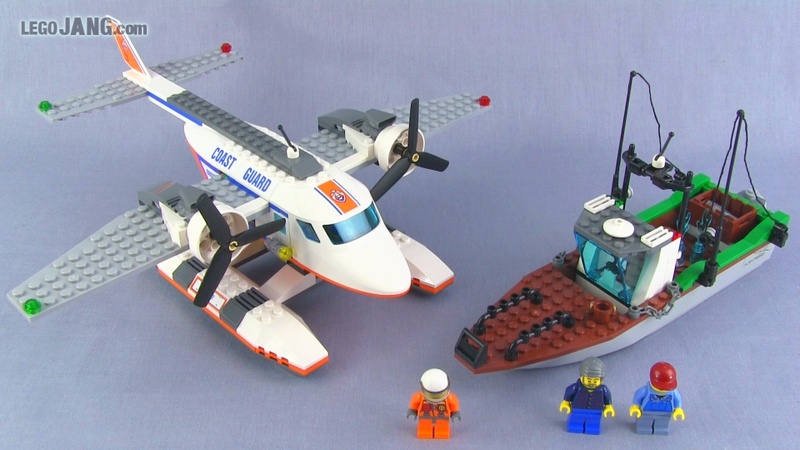 LEGO City Coast Guard Plane 60015 set review! I made this video﻿ before the set was available in the United States, and I based my approximation of price on the cost in other countries. This may end up being a $39 USD set once it is finally released in the US, in which case obviously my thoughts about value will be a bit ill-founded. Thank you in advance for your understanding. 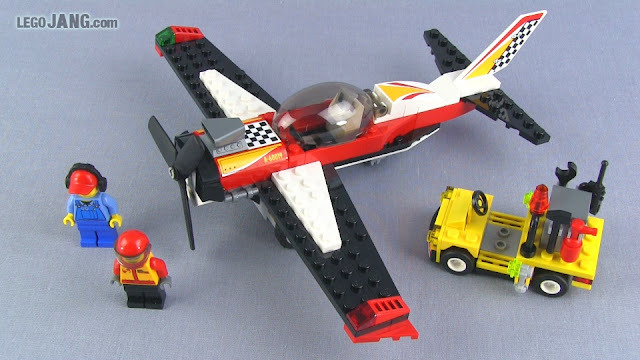 Video: LEGO City Coast Guard Plane 60015 set review! 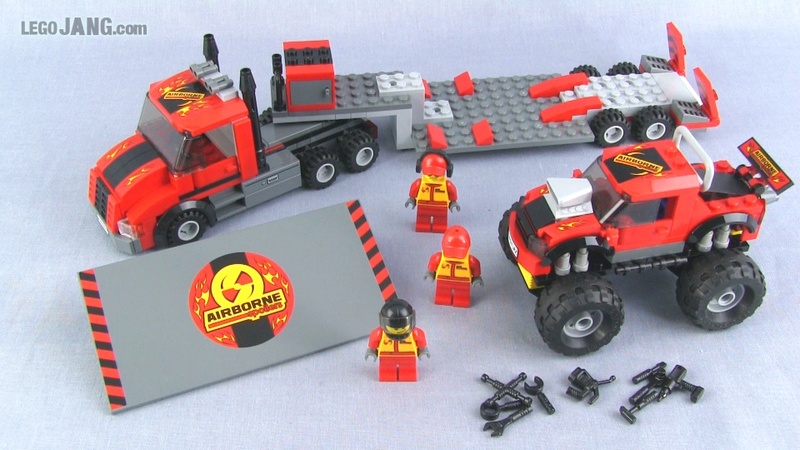 LEGO City Monster Truck Transporter 60027 set review! 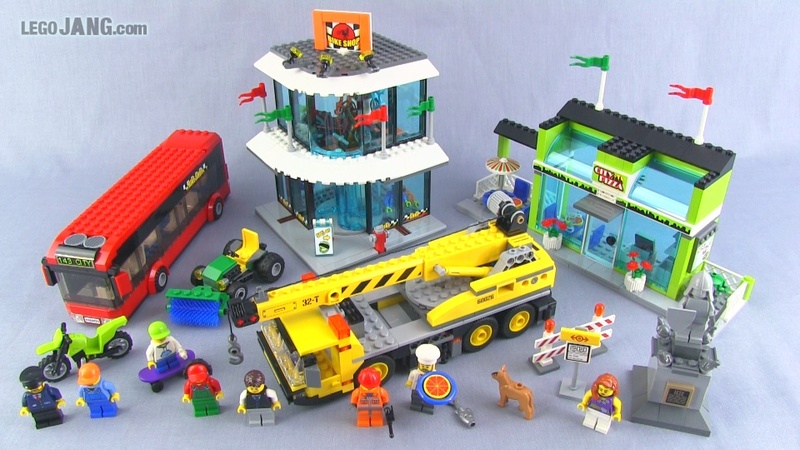 Just in time for the weekend, here's a brand new Summer 2013 LEGO City release with a racing monster truck, a semi hauler with a flat bed, three minifigs, and a couple of brand new part molds! Video: LEGO City Monster Truck Transporter 60027 set review! 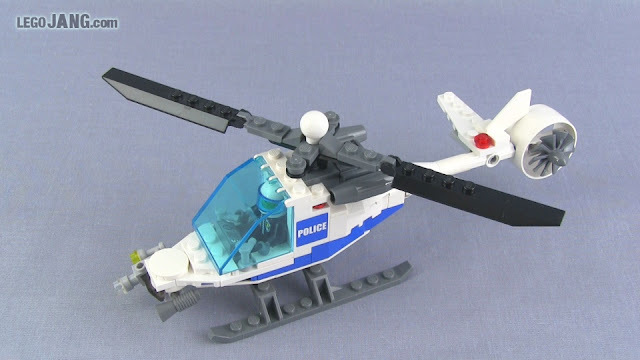 Yet another vehicle/craft for my mean LEGO police force! Happy with how this pair turned out. Almost want to keep it on display. Oops, too late, already took it apart, but not before getting the thing on video! I badly need to start making buildings & structures for my LEGO city to use up some parts, and I decided to start with a police station. Well, that didn't get far. In order to figure out what size to make the station, I needed to make the things that would go in/with it. 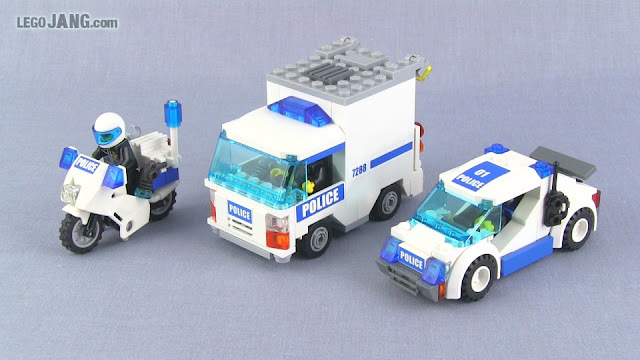 First came the minifigs, and now I've done some vehicles. Helicopter next I guess? First time on video, it's the makings of my LEGO city, at last! Such a wonderful development, I couldn't be more happy and excited! OMG LEGO TOA HERO CREEPER! 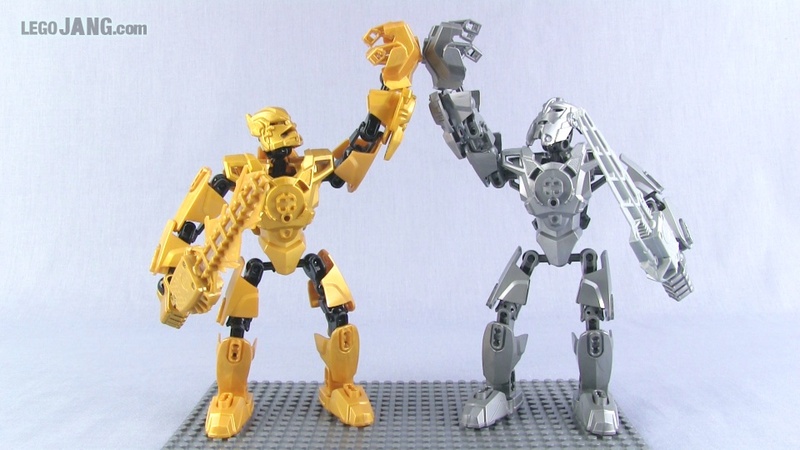 It had to happen eventually -- Bionicle, Hero Factory, and Minecraft have joined forces!